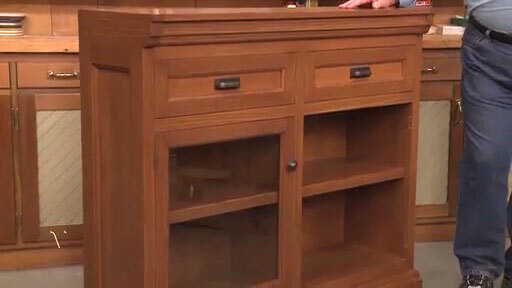 This bookcase is sure to find a place in your home for years to come. 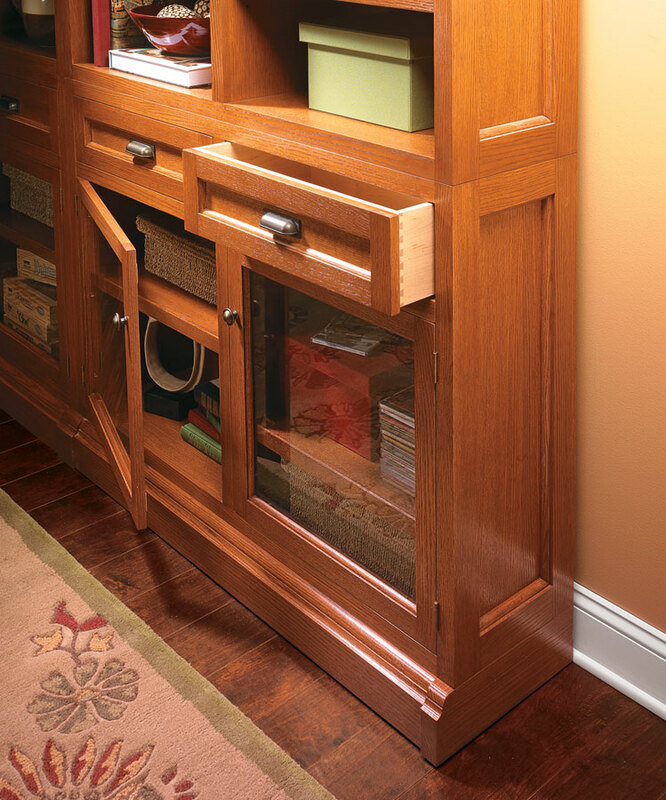 Plus, it can be built in different configurations to suit your space. 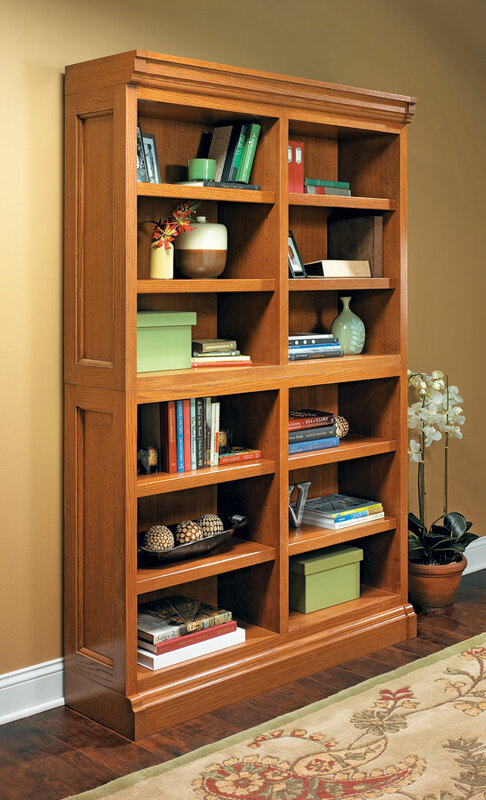 I've built a lot of bookcases, usually designed for a specific room or space. This time, I wanted something flexible enough to complement any room in the house. You can customize this piece for any space. With the modular design, you can build a single case for a smaller bedroom or office or stack several to hold your entire library. And the flush molding on the sides allows you to place them side by side. 12 pages of step-by-step instructions. Nearly 50 full-color photos and illustrations. 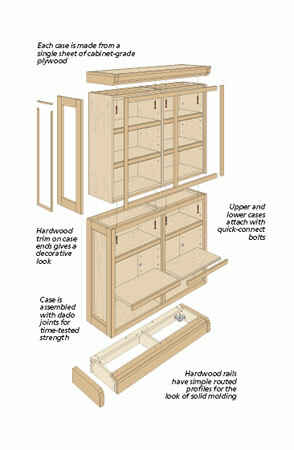 Techniques for making molded mortise and tenon doors and drawers with dovetail joinery. 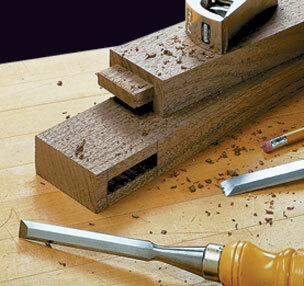 There are several good ways to make a mortise and tenon joint. The trick is determining which one is best for the task at hand. 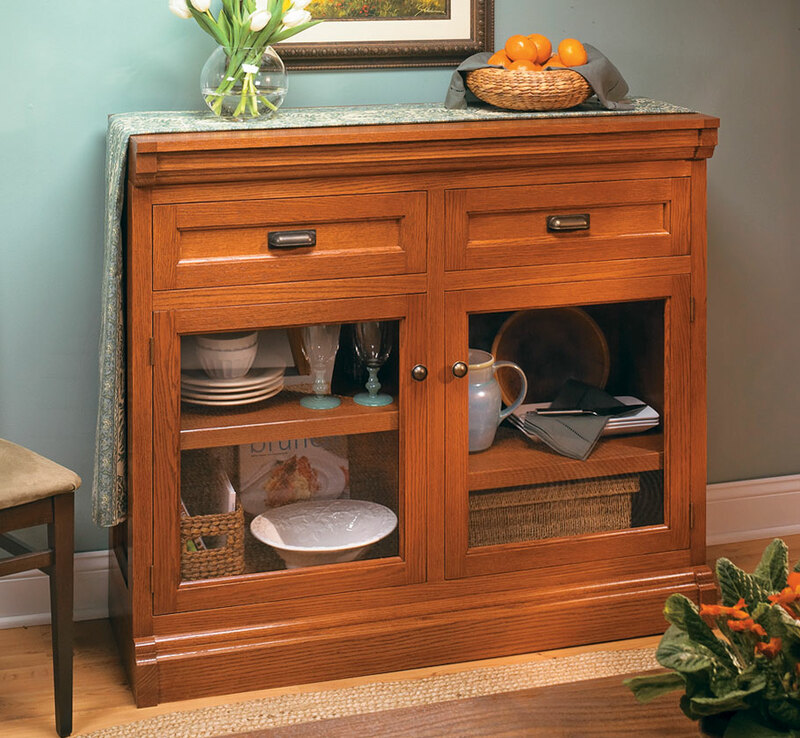 With its modern but lasting design, seating, and deep storage bays, this bench is the perfect place to take your shoes off, and more. 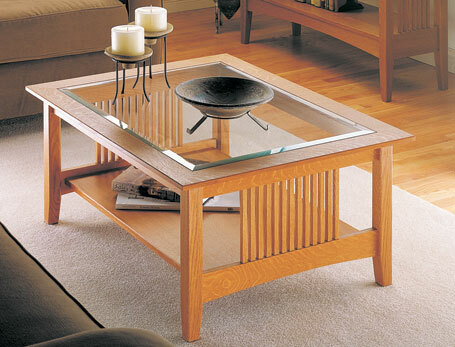 Quartersawn oak, mortise and tenon joinery, and a beveled glass top make this coffee table a welcome addition to any home.